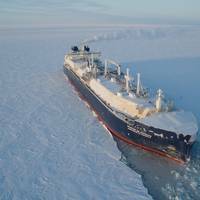 Shipments from Russia's Arctic liquefied natural gas (LNG) plant picked up from late last week after maintenance and unseasonably thick sea ice impeded exports this month. 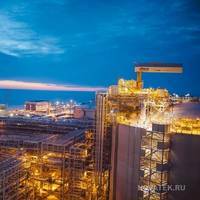 The Boris Vilkitski LNG tanker left the area of the Yamal plant on Friday for France's Montoir terminal after spending more than a week idling fully-laden offshore. The Christophe de Margerie tanker, which had spent more than a week circling north of Yamal above the entrance to Ob Bay, went in over the weekend and appears to have loaded, according to ship-tracking data. It is now leaving the area. 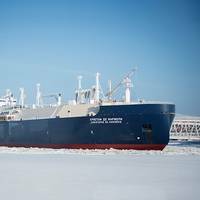 South Korea's Daewoo Shipbuilding & Marine Engineering (DSME) and Sovcomflot have agreed to delay a liquefied natural gas carrier being built for the Yamal LNG project in Russia. According DSME statement the vessel, which was originally scheduled for June this year re-set the delivery date, will now be delivered in January 2017. 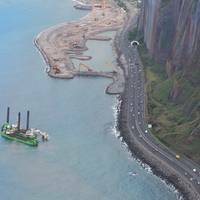 No details have been disclosed on the reasons of the delay. In March 2014, DSME) signed with Russia's largest shipping company Sovcomflot to build 170000CBM level Polar special (ARC7 Ice-class) icebreaking LNG ship. The ceremonial launch of construction of the lead icebreaking support vessel for Gazprom Neft Novy Port was held today at Vyborg Shipyard, a corporate member of the United Shipbuilding Corporation. Guests were greeted by Kirill Voroshilov, First Deputy General Director of the Vyborg Shipyard, who noted, “The newbuild laid down at the shipyard is a multipurpose vessel and is capable of coping with a great number of tasks while operating in heavy ice conditions. 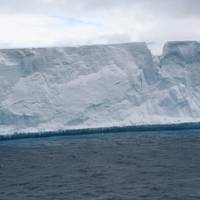 This icebreaking vessel is unique and to date it has been unrivalled on a global scale. The icebreaking support vessel will be built in accordance with a design targetting maximum icebreaking capability and considerable maneuverability with comparatively shallow draught.